Syringomyelia is a neurological disorder that affects the spinal cord, which can then hinder motor skills. Syringomyelia is characterized by the development of a cyst on the spinal cord, usually resulting in back pain and nerve damage. Some cases of this disorder are relatively mild and do not cause significant disability. However, others can grow into a more serious condition that affects a person’s daily life and ability to work. If you or someone you love is dealing with syringomyelia that interferes with the ability to make a living wage, you may require Social Security disability benefits. 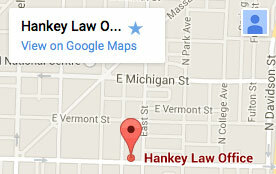 The Indiana Social Security lawyers of Hankey Law Office, offer their experience and knowledge to those suffering from disabilities to help secure the Social Security benefits you need. Contact us today at (800) 520-3633 to discuss your case. In addition to the toll of these symptoms, syringomyelia often requires expensive medical treatment that is necessary to keep the condition from worsening, such as surgery and regular MRI scans. Syringomyelia is a serious neurological disorder that many people must deal with on a daily basis. If you have syringomyelia and are unable to work, you may be eligible for Social Security disability benefits to help cover medical bills and cost of living. Contact the Indiana Social Security disability attorneys of Hankey Law Office, at (800) 520-3633 today to learn more about how we can help you.